This page provides information on E-prescribing for Pharmacy Techs. There used to be a time when it was a compliment if someone told you that you had a doctor's handwriting. Unfortunately, numerous deaths have occurred in recent years because of errors in reading prescriptions. Illegibility, allergic reactions and wrong dosage amounts have been attributed to the causes of death. An effective solution is to adopt E-prescribing. E-prescribing software generates prescriptions through a process that is electronic and also aligned with participating local pharmacies. This electronic system makes life easier for pharmacy techs, pharmacists, as well as doctors’ offices in ways that we will highlight below. In 2009, the Health Information Technology for Economic and Medical Health Act (HITECH Act) was enacted to further encourage using electronic medical records as a path forward in patient safety. This Act was part of the larger American Recovery and Reinvestment Act of 2009 which sought to address privacy issues with private health information related to electronic transmissions. In addition to eliminating risks associated with prescriptions that are hand written, alert systems also exist when using E prescribing. There are drug utilization review (DUR) programs that manage the prescription process. This way, an existing patient has all of their medical records in one location so that they cannot get a misdiagnosis. In addition, any allergies or adverse reactions are given so that a warning would go off should the new prescription conflict with what is already on file. Physicians love the software because it increases efficiency in their practices. Time after time, they have had to deal with local pharmacies calling and faxing for renewals, verifications, or clarifications on existing prescriptions. E-prescribing eliminates a lot of that back and forth communication. Once a patients' information has been included in the system, they also benefit because getting a refill has now been streamlined. This automated process is completed through the existing network and the doctor can approve or deny a certain refill with the click of the mouse. Patients also benefit because their wait time is now reduced. It is great to be in a network where everyone shares the same information. Long ago methods of each pharmacy having their own reporting systems with paper filing are now obsolete. Fraud cases in the medical industry have also been reduced due to using E-prescribing systems. It was difficult to identify fraud across the board if you had to track using handwritten prescriptions. These handwritten prescriptions had the potential to be tampered or altered by the patient before heading to the pharmacist. Now, there isn't an option to send C-II prescriptions electronically. However, C-IV through C-III prescriptions can be sent in this manner. So the potential for fraud had decreased. While early adopters have been extremely pleased with using E-prescribing systems, it does have its detractors. One issue of concern is related to the initial financial burden that comes with buying the software and keeping it maintained. The smaller clinics, clinics in remote locations, independent pharmacies, and inner city clinics have been slower to adopt these systems because of the financial barrier. They also have to factor in the time it takes to get everyone up to speed and learn the program. Another issue of concern is that of change management. Larger companies may already have a fully functioning system that would get uprooted by adopting a more universal E-prescribing system. There also may be preferences for the existing system and getting everyone on the same page could prove quite challenging. An initial solution to this would be to slowly change the system so as not to disrupt daily operations. With technology, there is a common saying about "garbage in, garbage out." There is concern regarding erroneous alerts. While alerts are needed, they are only as good as the information that has been inputted into the system. This limitation may make physicians and pharmacists negate using it altogether. Data entry errors could abound if there isn't supervision or support to review the data. Lastly, security breaches to the data can prove to be extremely damaging. Access to private patient information that is sent over the internet could be accessed by a hacker. There is also the chance of employees sending information across the network that may be outside its intended purpose. Lastly, electronic signatures have to be proven and verifiable to maintain an appropriate prescription. In addition to acquiring the software, firewalls and other network protection must also be purchased. 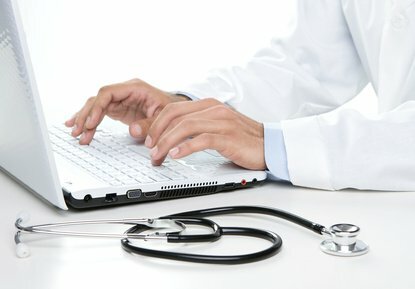 E prescribing systems have been introduced to improve the efficiency and safety of patients by using electronic means over handwritten prescriptions. While there are many advantageous benefits associated with a system, there is still room for improvement. Once there is a greater adoption from small clinics, pharmacies and large companies alike, the patient and the overall health system will benefit greatly.